The PARSTAT 4000A is the latest edition to the PARSTAT line of potentiostats. As modular-design has become a focus within the industry, the PARSTAT 4000A stands alone in its ability to deliver high compliance voltage and wide dynamic current range, as standard, to cover a range of applications. The PARSTAT 4000A builds on PAR's history as the world-leader in DC electrochemical measurements and takes advantage of a common R/D team with Solartron Analytical, the world-leader in Frequency Response Analyzer (FRA) technology, to provide a best-in-class complete system. The new hardware-based, user-selectable Stability Modes further expands the compatibility of the PARSTAT4000A with a range of electrochemical cells and samples. 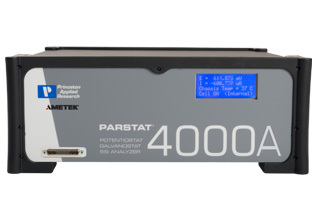 The PARSTAT 4000A can measure up to 4-Amps and includes a 40 pA range (1.2 fA resolution). Additionally, options are available to boost the high current measurement to 20-Amps and extend measurements down to 80 fA (2.5 aA resolution). 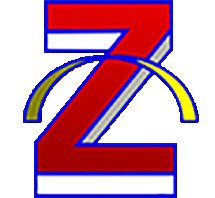 Click here for more information about our accessories.